Hi there! My name is Bas. I'm a professional plant killer; I've done a lot of invasive species work in Utah and North Carolina. My partner is starting a PHD program at MSU this fall so it looks like I'm moving to the Lansing area in August (though that move time is very flexible). 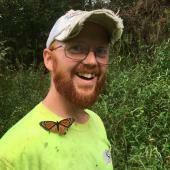 I'm currently scoping out job opportunities in MI, but most of the invasive species related jobs I've found have been in Northern MI or the UP. I was hoping someone on this forum might be able to point me in the direction of a Lansing local contractor, municipality, or land conservancy that deals with invasive species? 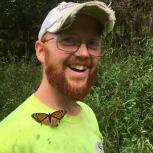 I'd greatly appreciate any pointers you all have, and also, well, I'm just so excited to join the Michigan invasives community! I can't wait to meet in person some of the faces I've seen in this forum. The resources y'all have put up are so awesome and I really appreciate the culture of sharing.